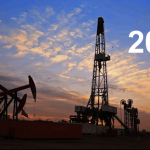 During the past year, the upstream oil and gas industry has largely been in a recovery mode following a major multi-year slump. According to Boston Consulting Group (BCG), 2019, will be an opportune time for upstream CEOs to rethink how their businesses operate in an environment that will inevitably change – and at a more basic level. In a recent report, Oudenot and colleagues Nikolay Belkov, Philip Whittaker and Jean Christophe Bernardini identified four domains in which upstream companies can seize opportunities to transform themselves. Keep reading to learn about each domain. An upstream company, whether it operates onshore or offshore, needs to select an operating model that optimizes day-to-day processes to deliver on the organization’s strategic objectives, Oudenot and his colleagues argue. They contend that a “finely tuned operating model” could yield benefits such as better coordination between HSE and maintenance and construction teams, greater production efficiency and achieving and sustaining major operating cost reductions. Redoubling efforts to clarify how non-operated partners should manage externally operated assets and collaborate, particularly when working in relatively close proximity.